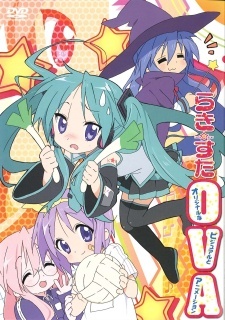 The OVA features six separate stories revolving around the cast, some of which border on the bizarre; one of which is an MMORPG environment being played by Konata, Kagami, Tsukasa, and Nanako Kuroi, and another in which Kagami has a 'suggestive' dream about Konata. Watch Lucky Star OVA Episodes Online at Animegg.org. Lucky Star OVA is available in High Definition only through Animegg.org. Choose an episode below and start watching Lucky Star OVA in Subbed & Dubbed HD now.